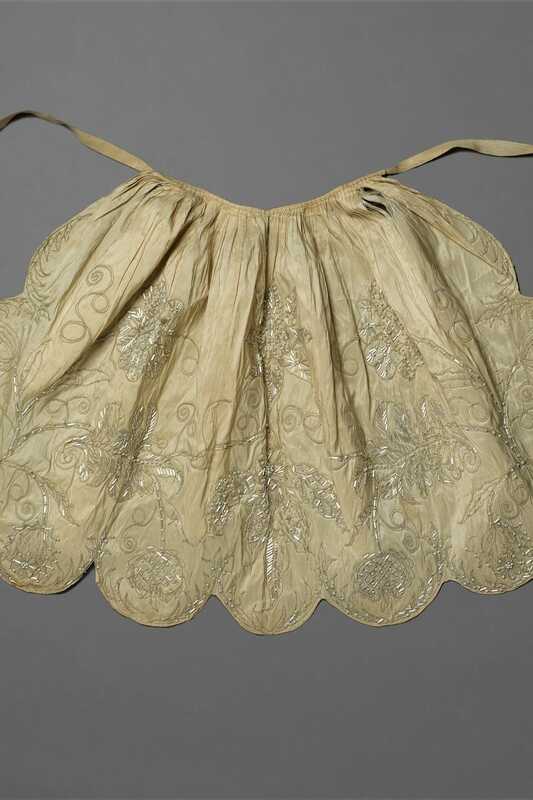 The apron is generally considered a garment of practical use today, but this 18th Century example is undoubtedly a decorative, formal piece of clothing. 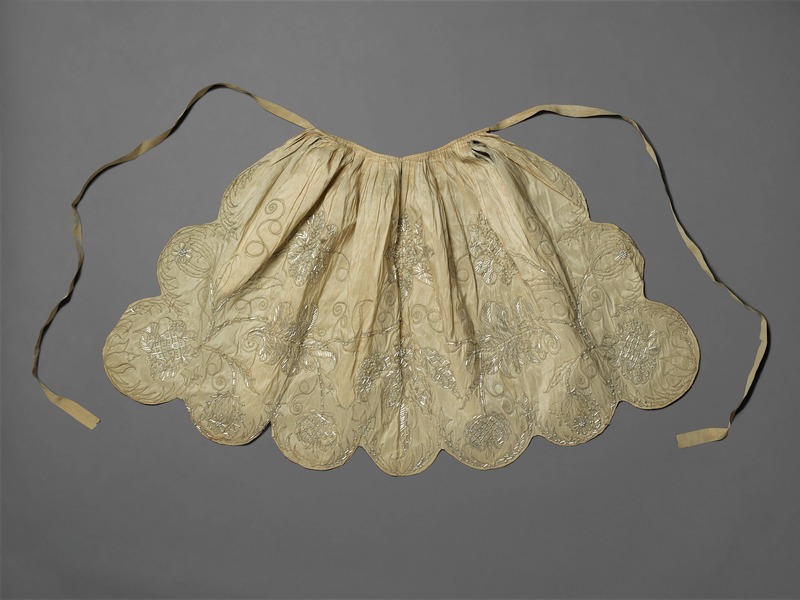 Its size and shape, with its scalloped border, resemble many surviving aprons of the period; however, whereas these examples are frequently covered in flowers embroidered in coloured silks, this apron is stitched with monochrome silk cord and beads. The symmetrical design of flowers and foliage is outlined in fine cord couched down from behind. Where the cord has come detached, the drawn out working design can be seen. Within these outlines small spherical and tubular beads have been arranged to form patterns, some following the contours of the flowers and stems, some in more rigid trellises. These patterns might be represented by different stitches on white or polychrome embroidered aprons.